This entry was posted in Styling Opaque Tights and tagged black heels, black opaque tights, black tights, Blogger, blue dress, Mary Jane Heels, Mary Janes, Nameless Fashionblog, opaque tights, Pantyhose, Tights on November 28, 2016 by tightsreview. 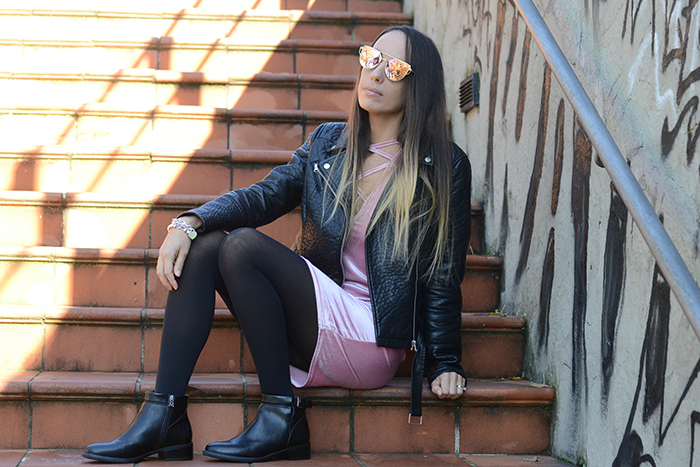 This entry was posted in Styling Opaque Tights and tagged ankle boots, black booties, black opaque tights, black tights, Blogger, Nameless Fashionblog, opaque tights, Pantyhose, Tights, velvet on November 21, 2016 by tightsreview. Blue Sequins, Blue Faux Fur, Blue Hat, Blue Leggings	No ratings yet. This entry was posted in Styling Sheer Tights and tagged blue dress, blue faux fur, blue hat, blue leggings, blue sequins, faux fur, leggings, Nameless Fashionblog, sequin dress, sequins, Tights on February 1, 2016 by tightsreview.